By having many of the newer products and brands in The LAB, attendees will be able to save time by visiting one dedicated section. 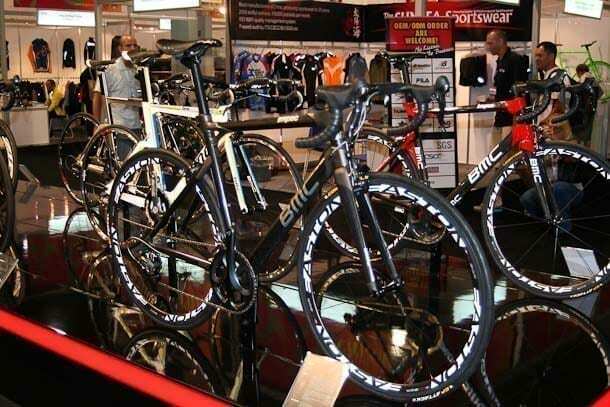 Feedback from previous years’ shows told Interbike staff that newer brands and products had a difficult time attracting attention when they were mixed in with the general exhibitor population. Combining The LAB with several events like the mini-velodrome Circulus will enhance the show experience for exhibitors and manufacturers. A new addition to Interbike this year is the Custom Builder exhibit. The exhibit will be displayed in a main thoroughfare of The LAB, bringing the artistic and grassroots soul of bicycling to the forefront of the bicycle industry. Nearby, attendees will find the ARTCRANK traveling poster show selling limited edition posters for the second year in a row. Adjacent to The LAB will be the Health+Fitness Business Expo (HFB). HFB is the leading fitness retail and light commercial trade show in North America. Retailers will see the latest products from leading fitness manufacturers and learn how fitness equipment can become an additional revenue stream for IBD’s in the winter months. Also taking place in The LAB will be two fashion shows, a demo area, and the eTrack electric bike test track. Fashion show details will be available soon but Interbike staff is aiming towards an Urban and Sportswear themed show. The eTrack will again be sponsored by the Light Electric Vehicle Association and will allow attendees to test the latest products from manufacturers. Pro-tec will be the official helmet sponsor of the demo area, where bikes can be tested in the building. Attendees will notice several compelling on-floor educational seminars that will take place in the fashion show stage area in-between shows. They will also enjoy a greater variety of food options and more places to sit than in previous years. The Pub will offer fast food such as pizza, burgers and beer, while The Café will offer a healthy alternative including a salad bar, sushi, sandwiches and a baked potato bar.